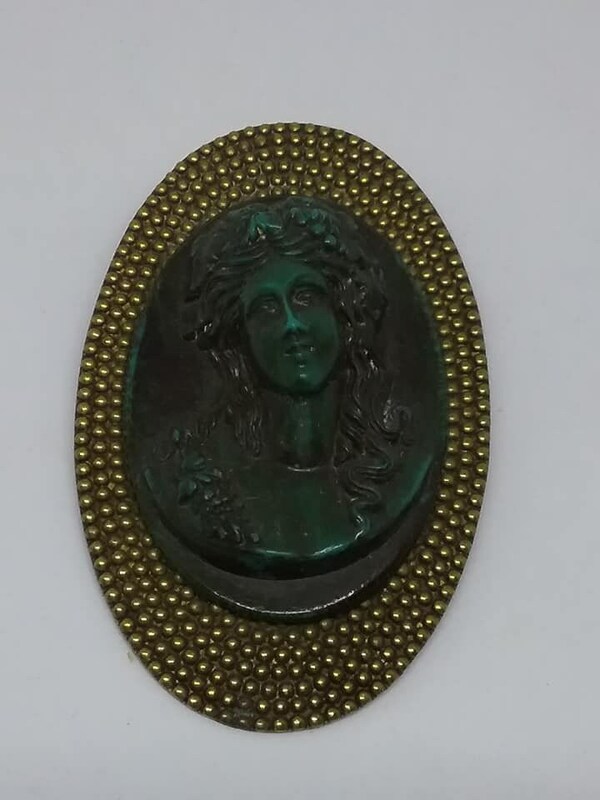 Vintage Cameo Brooch, Victorian Revival. 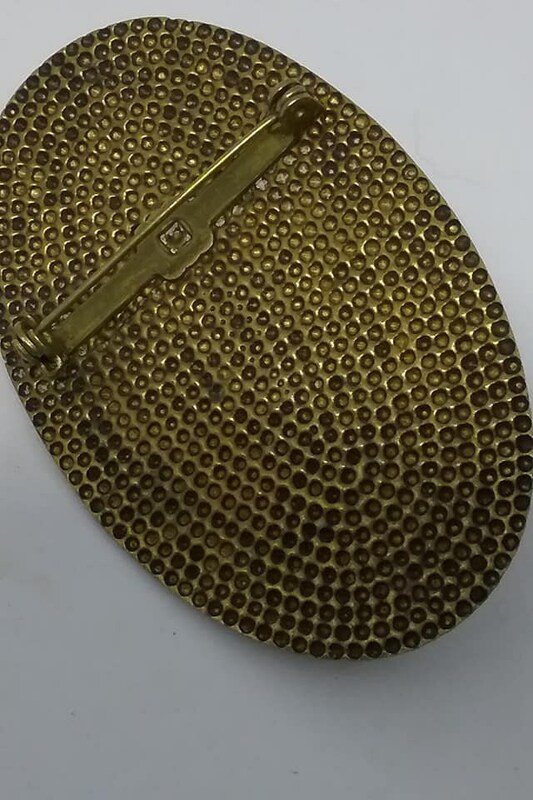 Beautiful, and unique. 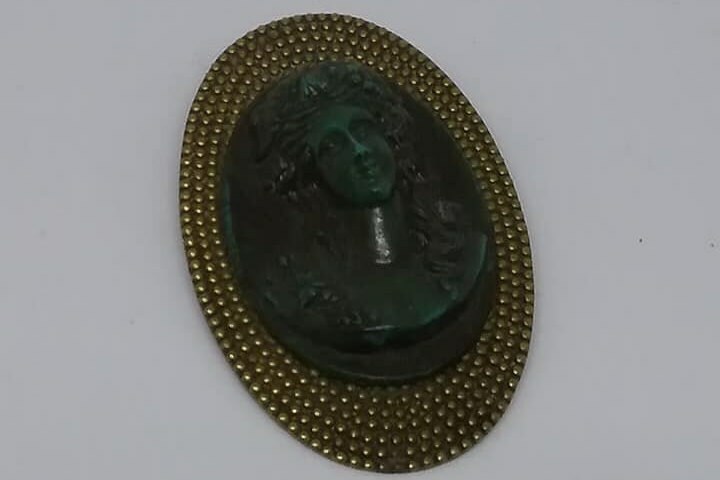 Dark green, high relief cameo, set on a textured brass oval setting. 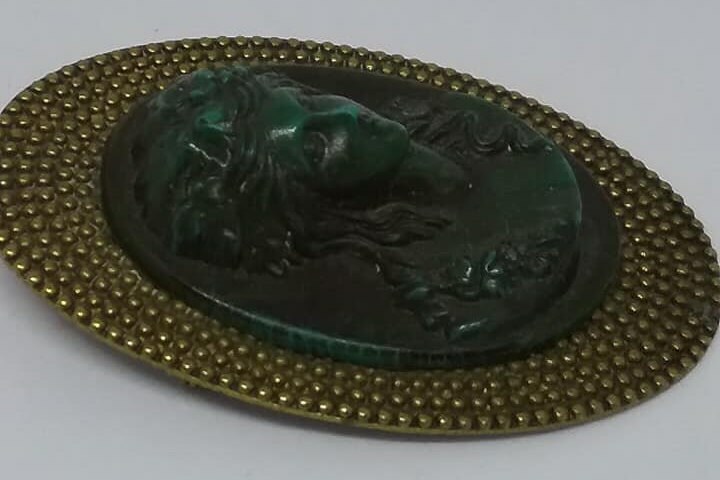 It looks to be malachite, but upon closer inspection, may be molded acrylic. 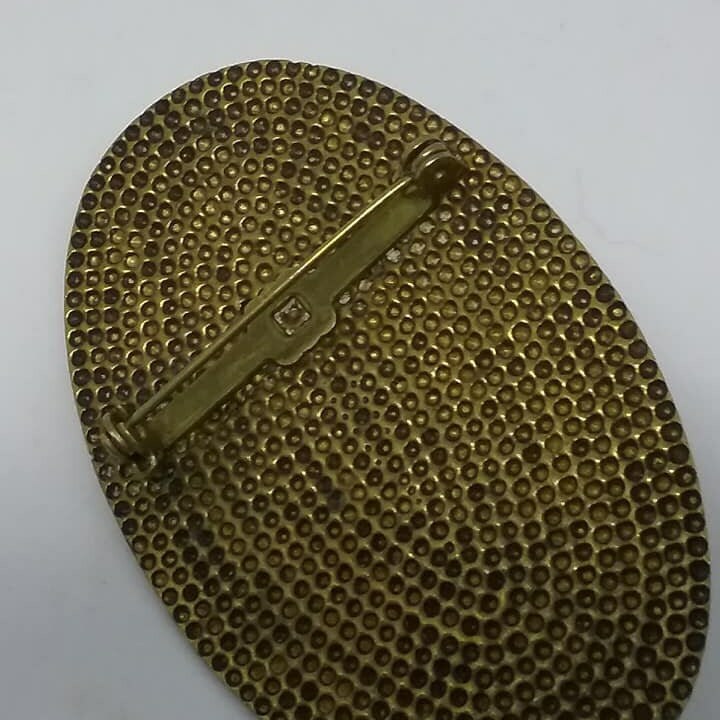 Regardless, it stands out and does show vintage characteristics and is in excellent vintage condition. 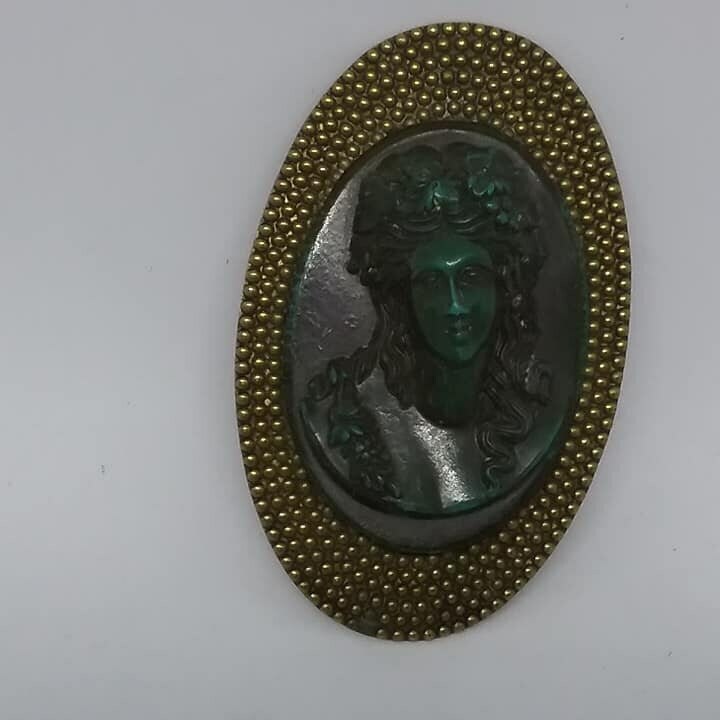 This unique cameo will stand out on a jacket, scarf, or any outfit you choose to display it on.